Super location! Cabin sits on a back street just above Burro Ave, so close to the boardwalk yet so quiet on the rarely traveled lane. Enjoy outdoor living on the large covered 25' x 12" front deck. 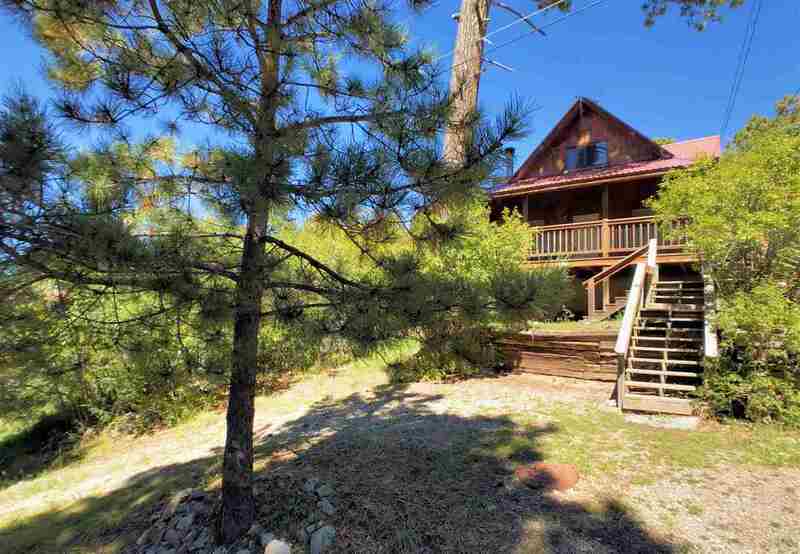 Rare 4 bedroom cabin has good bones, is ready for a little updating. There are 2 bedrooms & 1 bath on each level. Forced air heat & iving room has wood burning fireplace. Back yard fenced on 2 sides. Sunny side of the village. Furnished with acceptable offer. Excellent for vacation rental.